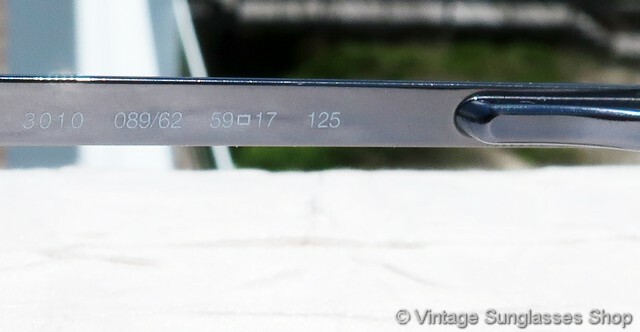 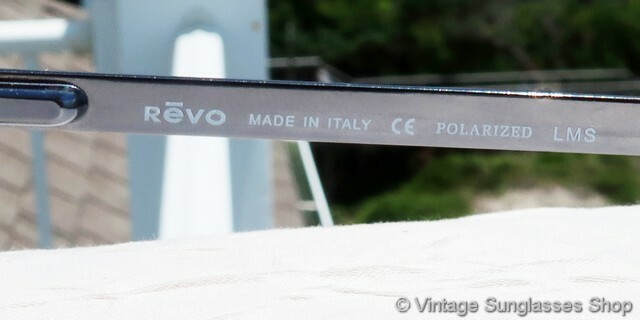 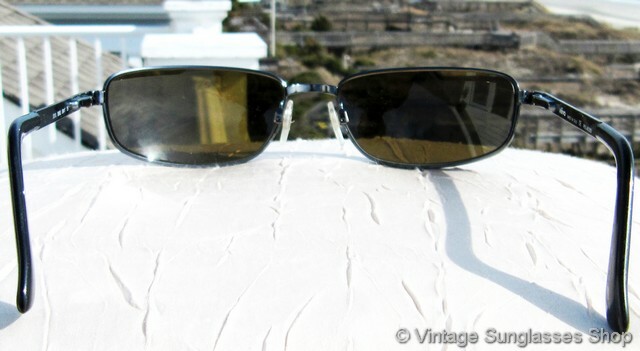 Vintage Revo 3010 089 sunglasses feature unique, Art Deco inspired styling with the precise horizontal etching on the ear stems creating the sleek streamlined effect. 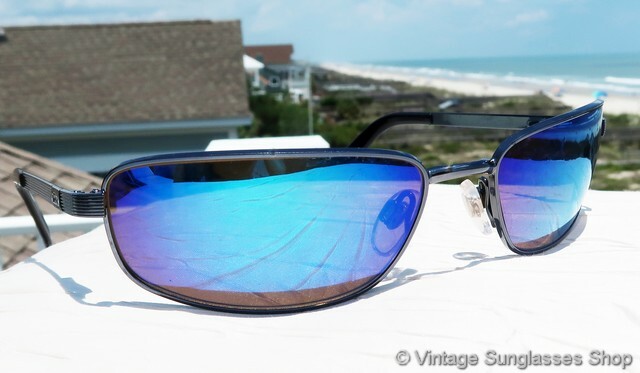 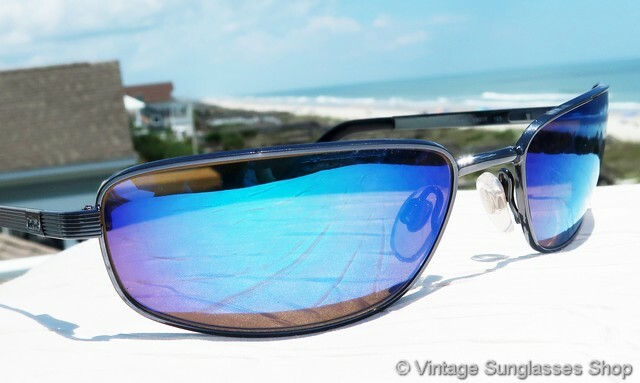 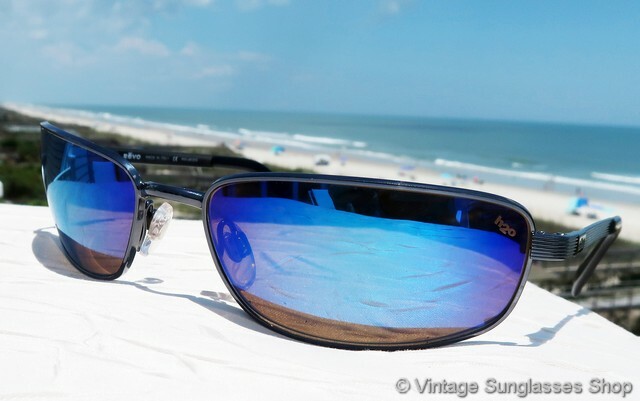 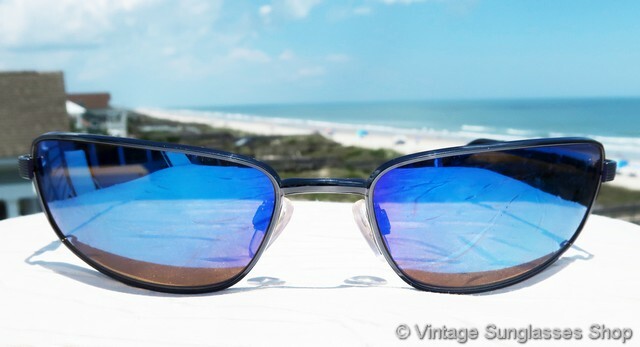 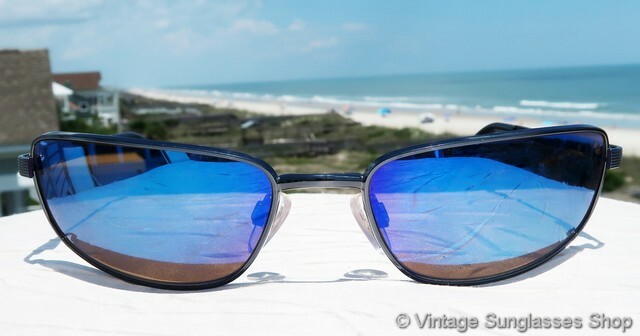 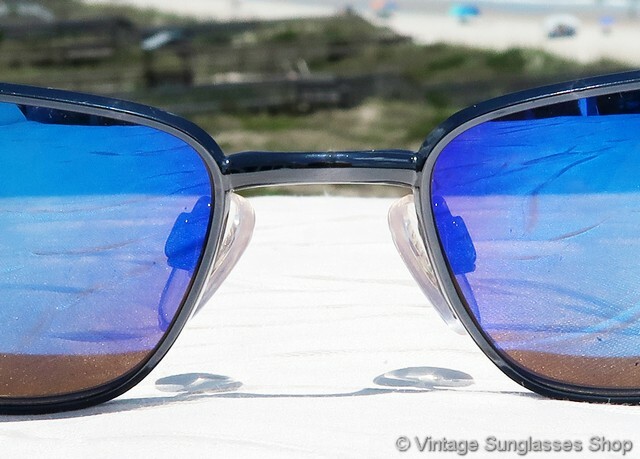 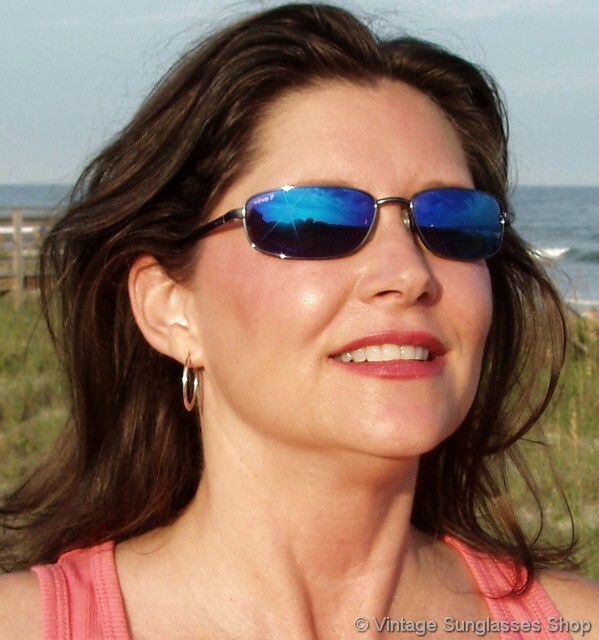 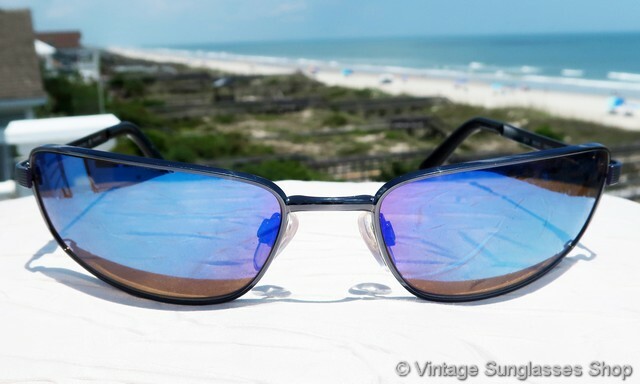 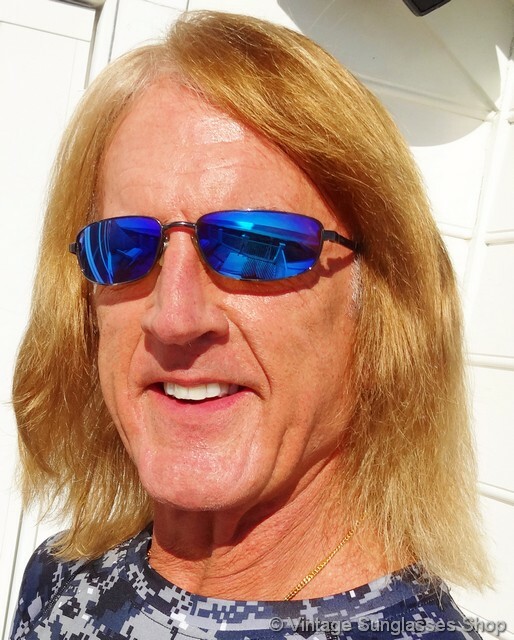 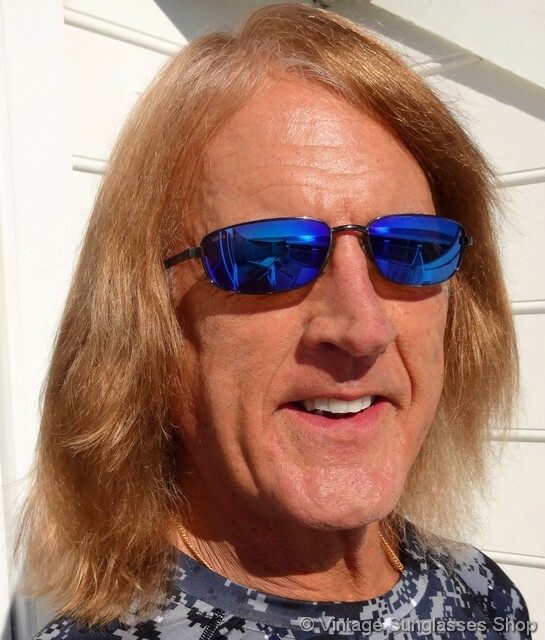 Revo 3010 089 sunglasses also feature Revo blue mirror H20 polarized lenses which pick up many hues of red and purple in the sunlight, the perfect color complement for the sleek chrome frame. 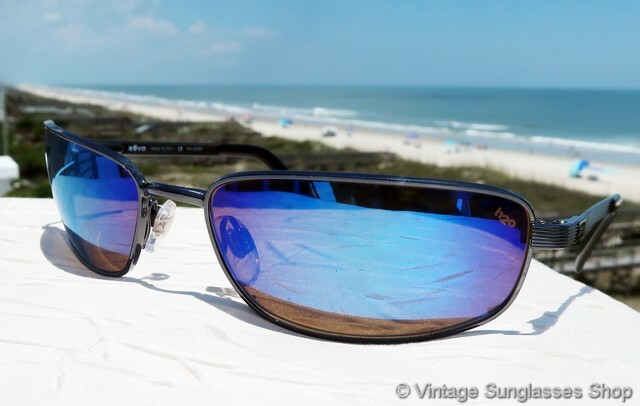 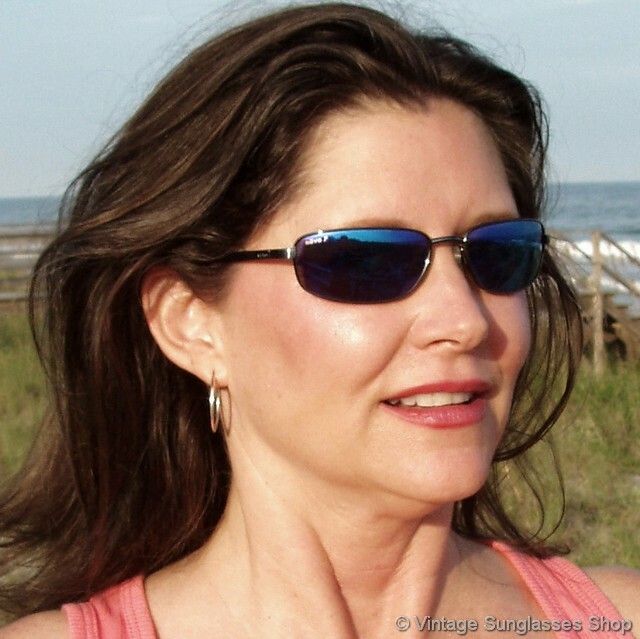 The frame shape is subtly curved to more closely follow the contours of the face, helping to keep wind and sunlight out and great for outdoor activities. 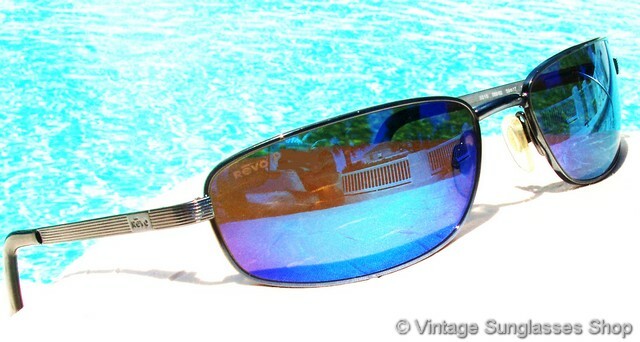 Revo 3010 sunglasses measure approximately 5.25" temple to temple, and the Revo blue mirror H20 polarized lenses measure approximately 2.25" x 1.125" at the widest points with right lens laser etched Revo P and left lens etched H2..You'll find the Revo logo impressed on the exterior of each ear stem, and the inside of one stem is marked Revo Made in Italy CE Polarized LMS while the other stem is marked 3010 089/62 59  17 125. 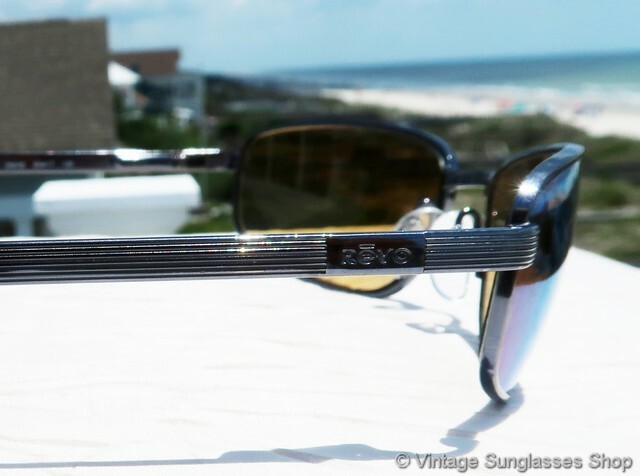 If you love Art Deco, it's hard to find a better interpretation of the style in sunglasses than vintage chrome Revo 3010 sunglasses.